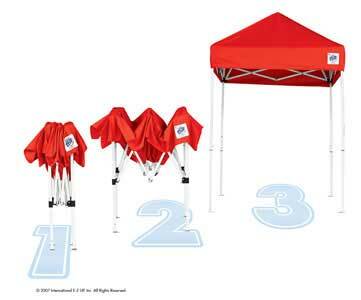 Shown are the Two side rail skirts and our folding table. Call us at 800-693-3353 for any questions and pricing. Let us build one for you. The Vue 5'x5' from EZ-UP© is packed with new features, and makes an immediate impact, perfect for small space product merchandising and promotions. 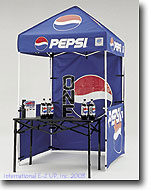 Especially designed for extended use and multiple set up both indoors and outdoors, Graphics Not Included But Available. 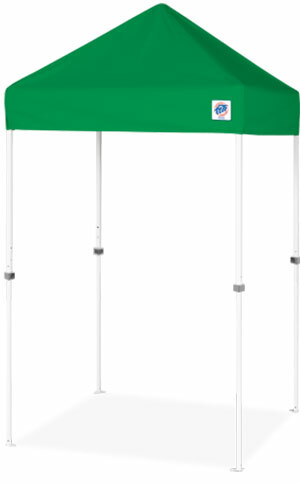 Includes Custom Color Top, and Cover Bag, and White powder coated Steel Frame. Lead Time is 11 Working days for all Custom work.